It’s no secret that the Auckland housing market has been creating some difficulties for those looking to buy property – especially for First Home Buyers. The median house price in Auckland is now more than $800,000 and there aren’t enough properties to go around. The Reserve Bank has now proposed local investors will need a minimum 40% deposit to get a home loan. And the major five New Zealand banks have already introduced the new rules – before the Reserve Bank has even officially rolled them out! One of the ideas floating around to deal with the Auckland housing shortage is to stop thinking about just building out – and to keep your head held high – to look up at multi-storey buildings, that is. Auckland Council has come up with a new blueprint for building property in Auckland – the Unitary Plan or the Auckland rulebook – but some groups are questioning whether this is a viable solution for First Home Buyers. What is the Unitary Plan? The Unitary Plan, now being referred to as the rulebook, will form a set of rules that cover what, where and how you can build in Auckland. In September 2013, the Auckland Council first launched its Auckland Unitary plan. 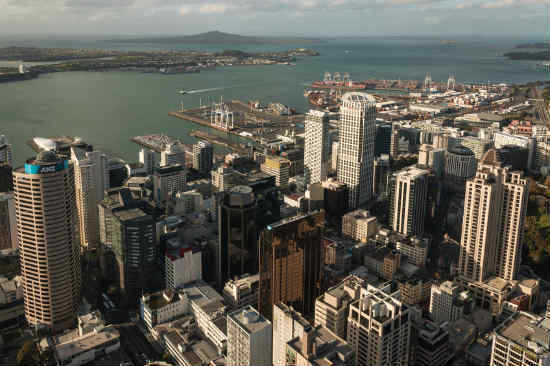 However, on 27 July, the Independent Hearings Panel now weighed in with its own recommendations, generating a new proposal for an Auckland rulebook for housing. The panel’s proposal follows a number of hearings, a review of 13,364 submissions and over 10,000 pieces of evidence over two years. Currently, Auckland is operating under a regional policy, combining 13 different district and regional plans. Most of the rules were developed when Auckland was split into eight separate councils, so each region had their own plan. In 2010, the individual councils joined forces to become a “super council” now known as a “super city”. To put things into perspective, some of these housing rules are now outdated by more than 10 years. What does the panel recommend for Auckland housing? 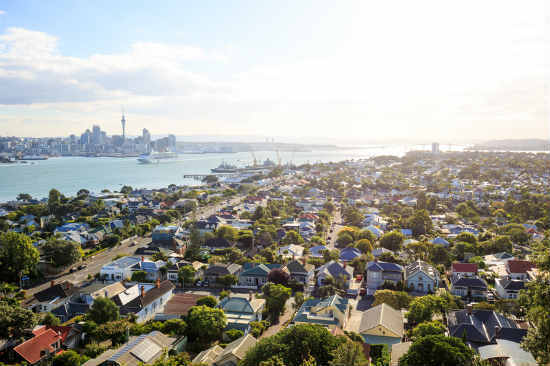 Auckland housing is set for a right shake-up under the updated property blueprint, with a proposed 60% of houses being rezoned to allow houses of two or three storeys to be built in these regions. On 27 July, an independent hearings panel released recommendations on how to maximize housing in fNew Zealand’s largest city, currently suffering from an insufficient supply of houses. The panel has recommended that the houses are rezoned immediately, so that a total of 422,000 new homes can be built in Auckland. The new homes that will be built will be divided into 270,000 in the urban regions and 152,000 in rural areas and towns such as Warkworth, Pukekohe and Kumeu. Housing zones which have been pegged for intensification have increased by 50% under the new proposal. A terraced housing and apartment zone allowing for five storeys, and even six or seven storeys, will increase in area by 25.3%. However, the area zoned for single homes had decreased by 22% compared to the initial plan from three years ago. The Auckland Council website has maps available to show how the new zoning – including areas designation for apartments and multi-storey buildings – would affect your area. Will rezoning homes make buying a house more achievable? Whether rezoning homes will make buying a house more achievable really depends on who you talk to. Community Housing Aotearoa chief executive Scott Figenshow believes there needs to be “inclusionary zoning” to ensure that there are some homes available to low and middle income families. “Inclusionary zoning ensures that all new larger developments must include affordable housing options. Increasing density does not guarantee that by itself,” Mr Figenshow says in a media release. Mr Figenshow says there also need to be affordable public transport options to support the increased density. The Labour Party is also concerned that the proposal will make things harder for First Home Buyers because of the removal of a requirement for developments of more than 15 dwellings to contain 10% affordable houses. On the other hand, Housing Minister Nick Smith told Radio New Zealand the new version of the Auckland rulebook is encouraging and appears to meet many of the housing objectives for Auckland. BNZ chief economist Tony Alexander points out that construction will need to be around 3.8 times the level of the past years, if the Council follows the panel’s plans for new build of 131,000 houses over the next seven years. “The proposed Unitary Plan may well technically provide scope for an extra 131,000 houses in the next seven years and 422,000 in the next 25 years if adopted as is. But required output will not be achieved unless migration policy is changed to radically boost builder inflows. Given that the pressure is on the government to cut migration inflows because of the perception in some quarters that migrant numbers are contributing to the housing issue this is very unlikely,” Mr Alexander says in his 28 July overview. When will the Unitary Plan come into play? The new Unitary plan is still waiting official sign off from the Auckland Council. Auckland councilors will meet on 10 August for several days to consider the recommendations. Decisions will then be notified on 19 August and there are limited rights to appeal the proposal until 16 September.